Elan Valley Trust at Elan Valley Estate01597 810449work ValleyThe Elan Valley Trust (formally Welsh Water Elan Trust) are responsible for much of the landed estate known as the 'Elan Valley'. They work in partnership with Dwr Cymru Welsh Water (DCWW) in a number of areas including providing an varied and enjoyable events programme and guide each year. The Trust also has four holiday cottages and is Landlord to the estates tea room and B&B; Penbont House Tea Rooms and B&B. The area attracts more than 400,000 visitors annually and a good starting point for all is the Elan Valley Visitor Centre (run by DCWW) which has a wide variety of information and educational and interactive resources. Is the largest single area of land owned by any of the national water companies and has been managed to protect the quality and quantity of the reservoired water since 1892. The 70 square miles of moorland, bog, woodland, river and reservoir are of national importance for their diversity of lower plants and the Estate is the most important area for land birds in Wales. The Estate consists of rounded hills dissected by steep valleys, many of which are covered in deciduous woodland dominated by Sessile Oak. The better soils of the valley bottoms are now mostly submerged under the reservoirs. These habitats are grazed with the traditional Welsh Mountain sheep which are small, very hardy and can tolerate harsh mountain conditions. The sheep do not have docked tails, the naturally long tails protect their udders from chilling winds. The gathering of sheep still takes place using quads and horseback with the help of several collie dogs and if you are able to view this farming activity it is quite the spectacle. There are still a handful of semi-wild Welsh Mountain Ponies on the hills of the Elan Valley. This breed of pony were often taken to be pit ponies in the South Wales coal mines. The majority of the Estate is included in a Special Protection Area under the EC Directive on Wild Birds and falls within the Cambrian Mountains Environmentally Sensitive Area. In addition, over 6,000 ha of the Estate is included in three Special Areas of Conservation under the EC Habitats Directive. 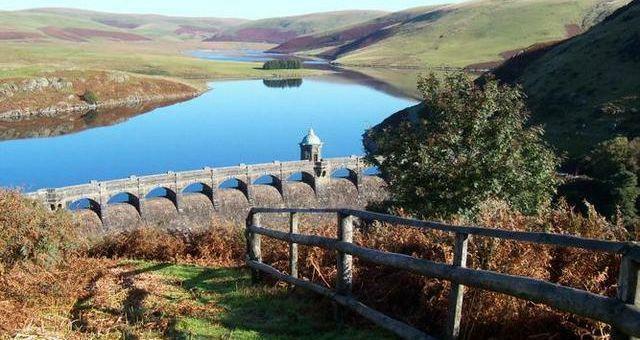 The Elan Valley Trust (formally Welsh Water Elan Trust) are responsible for much of the landed estate known as the 'Elan Valley'. They work in partnership with Dwr Cymru Welsh Water (DCWW) in a number of areas including providing an varied and enjoyable events programme and guide each year. Almost 80% of the Estate is contained within 12 separately designated Sites of Special Scientific Interest (SSSI). These cover a range of habitats, from unimproved pasture and species-rich meadows to ancient woodland, upland mire and the major upland block within the boundary of the 20,000ha Elenydd SSSI. 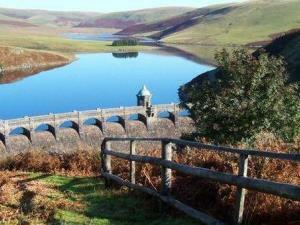 The Elan Valley can be accessed easily from Rhayader which is on the intersection of the main A470 (North/South) and the A44 which comes from the East.